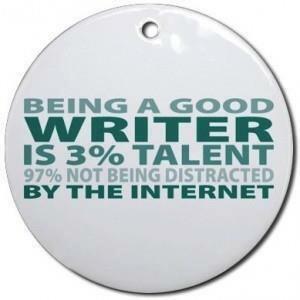 I’ve taken a class or two on social media for authors. It’s why I made myself join Facebook and Twitter, but I’m not sure if I’m maximizing what I’m doing. As I’m basically going to be re-doing my Facebook and Twitter pages, I’d love to start with a solid step-by-step plan aimed at beginners. I’m an introvert and the only reason I’m putting myself out there is for my writing. I’d prefer a book to another class as I have two little kids, but if the class is truly excellent, I’ll work with DH to be able to take it. If you have any ideas, I’d love to hear them! This is my issue too! I write as therapy, fighting the demons of my PTSD. The idea of the social media and public appearances makes me wanna hide under my bed. We can conquer this as well.